It's hard to believe that a tiny board with some magazine clippings on it has so much power, but the truth is that it works because of HOW I created it. I didn't just slap some pictures of Oprah on a poster board and call it a day.... I spent weeks reflecting internally about what I wanted and then combed through a giant stack of magazines, tossing out anything that didn't SPEAK VOLUMES to my soul. The entire process takes weeks... and each time, it's totally worth it. Reflect on what you've already accomplished this year. What did you try and fail at? Taking account of your successes will help you understand what you need to build on. Think about the direction you want to take your life next. One thing many people forget is that you are definitely in control of your life. If you don't enjoy something in your life, you can change it. I am the architect of your life. I build it's foundation and choose it's contents. "I guess this is just the way life is"
The beauty of a vision board is that it's an annual reminder that you can change direction and that you GET TO CHOOSE your next destination. No matter who you are, where you are or how successful you are, everyone knows at least ONE THING they want to change about themselves. Finally get your side hustle off the ground. The things you are unhappy with are the key to determining where you want to go next. Once you understand exactly what you want to change, you can do the real work figuring out HOW you will change it. If you have no idea where to start, you can take a FREE live class on creativelive.com. There are classes on everything from personal finance to freelancing to creative pursuits taught by top industry experts. What Would You Do Differently... If There Was Nothing Holding You Back? Often, we find ourselves in an unusual position where we have something that we want to change, but there's nothing we can really do about it. Most people have at least one thing that ties them to something they don't particularly want in their life. Your spouse's job may keep you in a certain area. Your children's daycare costs may keep you from saving as much as you want. Aging parents consume your free time so you can't start that business you've been thinking about. What would you do if none of those barriers were holding you back from living the life you want today? Be clear on your next BHAG (Big Hairy Audacious Goal). Having a goal in mind BEFORE you start clipping cute quotes and pictures out of inspirational magazines is crucial to creating a vision board that serves your purpose. ONLY when you have a clearly defined goal can you be strategic about finding the visuals to put on your vision board to serve that goal. Your vision board CAN transform your life but it's your job to build the vision you want to become. 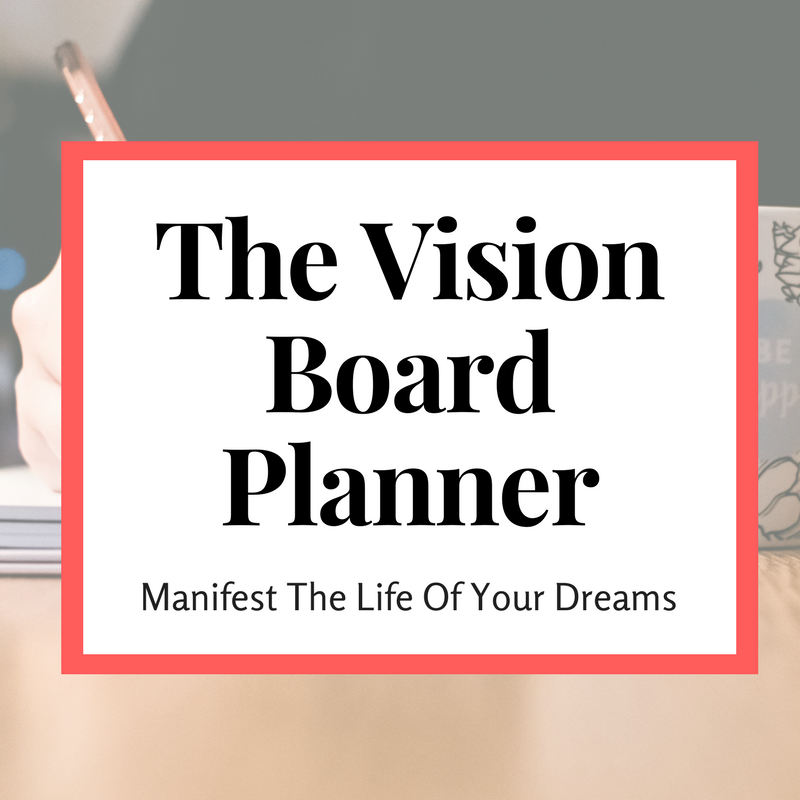 Design your dream life with the Vision Board Planner, our step by step guide to creating vision boards that work. Download the FREE Big Vision Reflection checklist to build a vision board that will help you create MIRACULOUS change in your life. Enter your email to subscribe to the newsletter and grab the freebie!